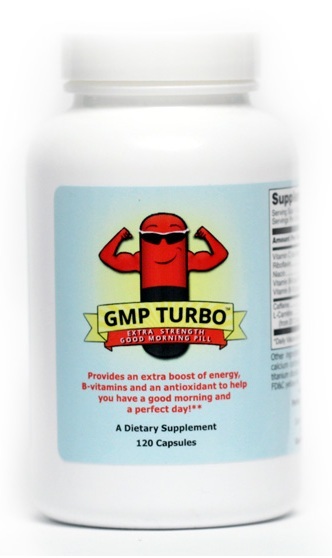 Click Here to buy the GMP Turbo at Amazon.com. Orders ship directly from Amazon.com and qualify for Prime 2-day or standard free shipping. We use Google Checkout to accept all major forms of payment. Shipping fees will be added at the checkout and only reflect our actual cost to package and ship your items. One Bottle of 60 GMP Turbo capsules. 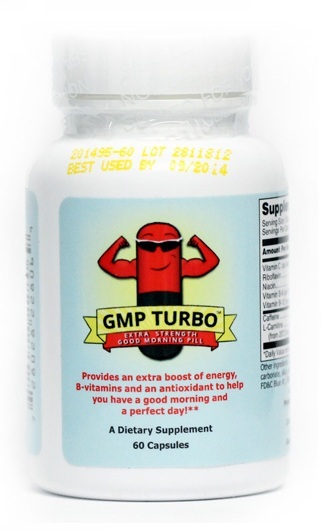 Take a GMP Turbo with your morning meal or drink to for a turbocharged boost of energy that hits hard and lasts long. * Substitute your usual coffee, energy drink, or energy shot with a GMP Turbo. One Bottle of 120 GMP Turbo capsules. 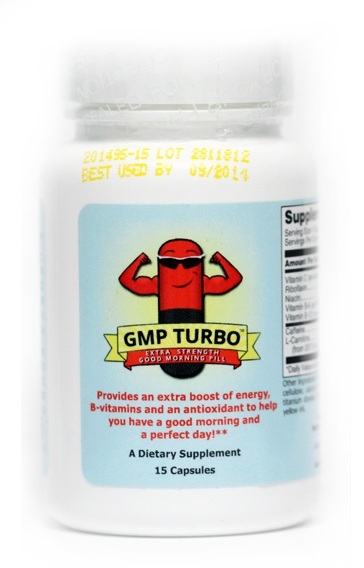 Buying in bulk saves money - One GMP Turbo is just 33 cents. Compare that with the cost of one (or more!) energy drinks or shots. Not ready to commit to a big bottle? That's fine with us too. Try 15 GMP Turbos for just $10 - We'll keep you energized for two weeks, and you can figure out whether you want more.